Germination: 8 - 19 days. Comments: Argonaut's plant is a vine with a strong canopy and very vigorous. The fruit is cylindrical in shape and bright gold in color with a hard, tough rind which has a smooth texture with sutures. Argonaut's interior is a medium orange color with a very sweet flavor and excellent meaty texture. Suitable for the home garden, this variety has a long shelf life and a small seed cavity on the blossom end. 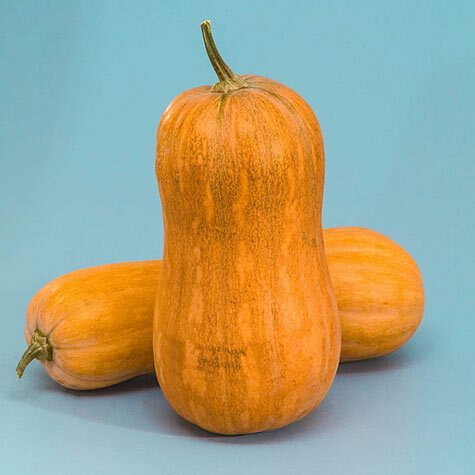 Under proper conditions this squash will store up to 8 months.